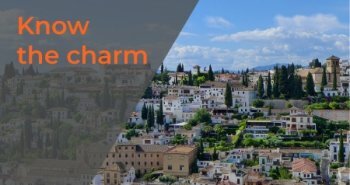 3 hours long guided tour through all parts of Alhambra and the Gardens of Generalife. 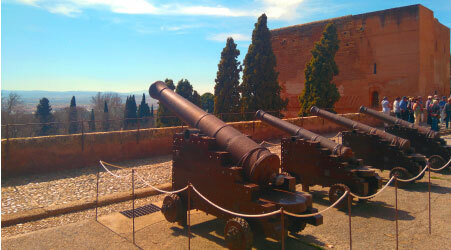 This is a walking including the Alcazaba, the military part where the Alhambra started to build up. 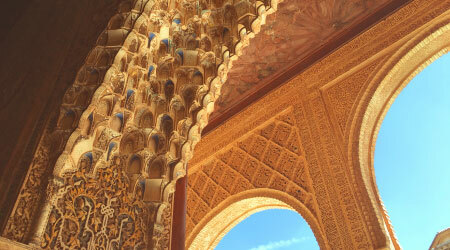 You’ll walk up to the Torre de la Vela, for the wiew of Granada meadows. 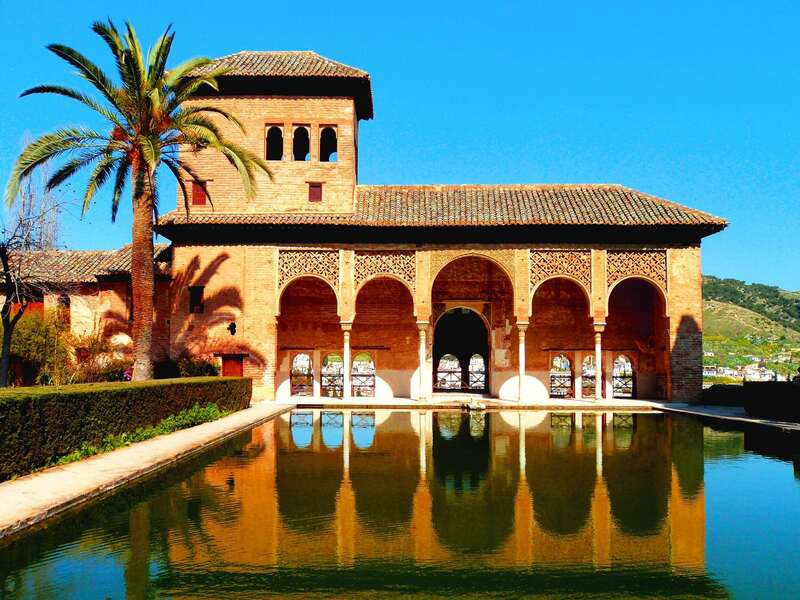 Then, the Palace of Charles V will surprise you with its columned round patio inside a squared building, a renaissance style. 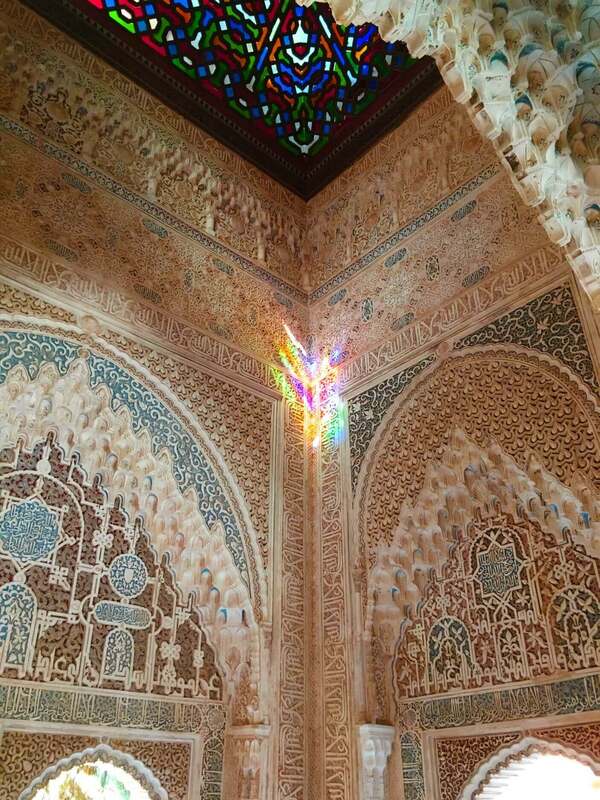 Inside the Nasrid Palaces, the Arrayanes and Lyons Courts are overwhelming. And then, the water melody and flowers scent will guide you through the Gardens and Palace of Generalife. 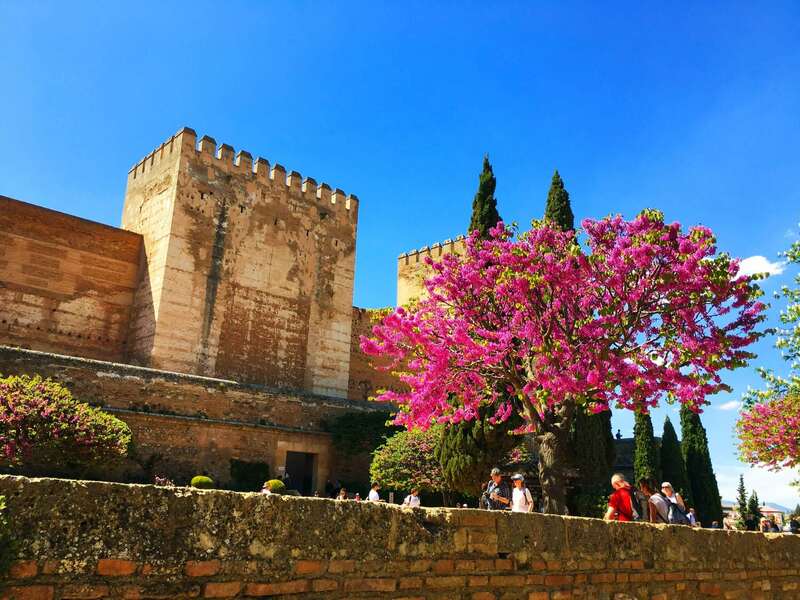 We organize your visit so that you only have to worry about enjoying the Alhambra and the Generalife, we take care of the tickets, the necessary audio system and of course the accompaniment of an official guide to tell you every detail. 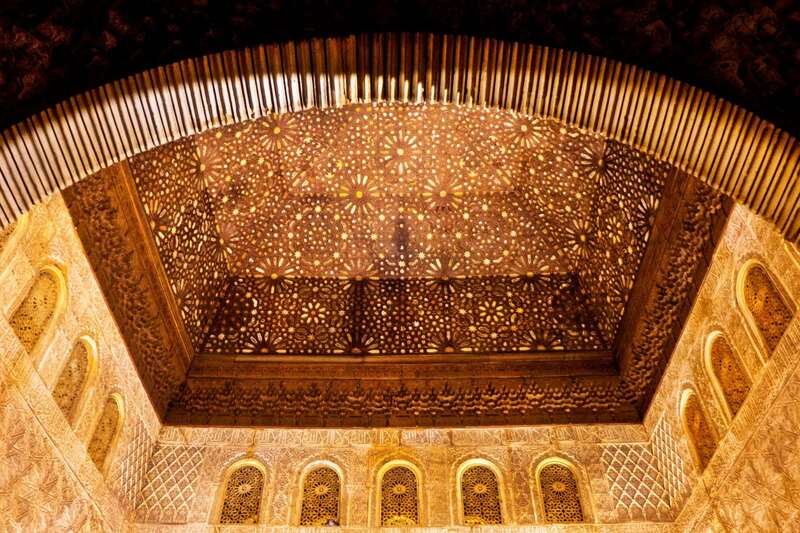 Our official guides with years of experience and a great knowledge of the Alhambra will be able to inform you during the tour of all aspects of the monument in order to make a truly unique visit to the Alhambra. 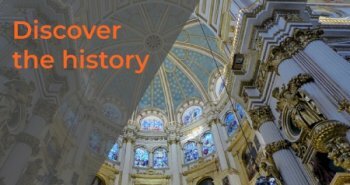 In the same way, you will also be able to ask our guides any questions you may have about the details that we found during our visit, so that the experience you have at the end will be completely satisfying. 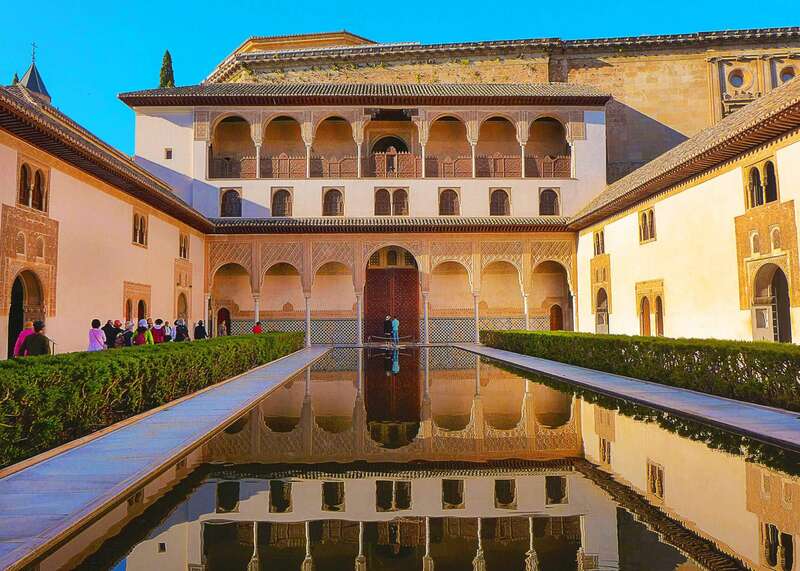 During the 3 hours of the daytime visit we will tell you about the Alhambra and the Generalife Gardens thanks to our guides’ many years of experience and discover details you could not imagine.